Now that the temperature is finally beginning to drop, we can start talking about fall! You know what that means? It's time to enjoy pumpkin flavored everything and really appreciate the beauty that is autumn. What better way to experience this next season first hand than sprucing up your backyard room! After all, nothing says cozy quite like relaxing in your backyard room listening to the crackle of a roaring fire. 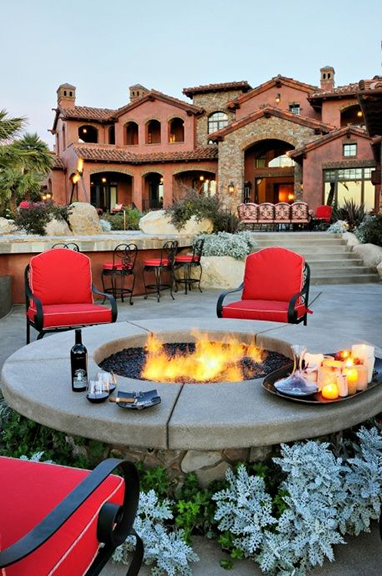 To accomplish just this there is a very crucial element you will need to cozy up this fall; a fire pit. 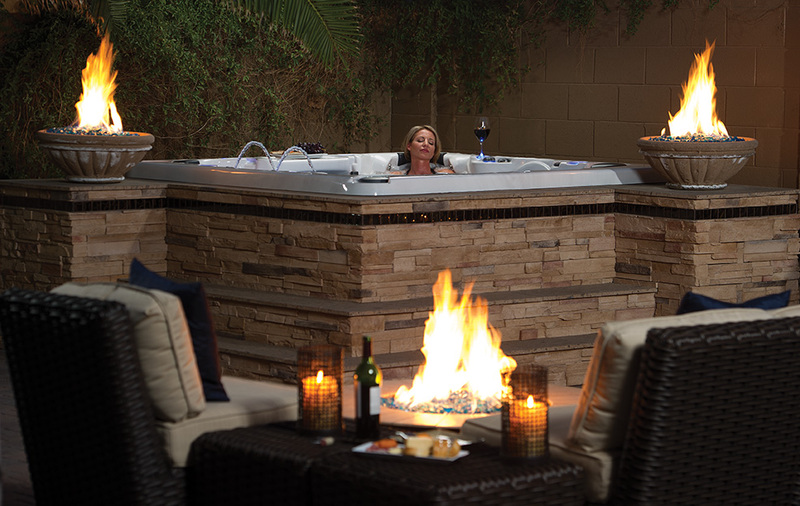 Lucky for all of us there are many different types of fire pits you can incorporate into your backyard room. You can find a fire pit in just about every style, material, and size so no matter how big or small your backyard room is there is a fire pit out there to fit your needs. The most widely known version is the above ground stone surround fire pit. This can be as pricey or inexpensive as you wish to make it. For those of you interested in a weekend project there are many diy tutorials floating around the Internet on building this cozy creation. My personal favorite can be found on A Beautiful Mess blog page. The standard fire pit is perfect for bigger backyard rooms and can come in handy when you are entertaining guests. This beautiful addition will definitely make the cooler months easier to bare and allow you to continue to utilize your backyard room all year long! While this is a slightly different style to the standard fire pit, it offers the same added benefits and some of its own. A big selling feature of a fire bowl is it can be utilized in just about any backyard room set up. No matter the size of your backyard you can make this dream a reality. Use your fire bowl for roasting marshmallows, as a decorative piece, or even just a spot to escape with some hot chocolate and enjoy a night under the stars. This fall season you can't go wrong with this addition to your backyard room. Here is an alternative to the standard above ground stone fire pit and is a beautiful decorative addition to any backyard room. While this modern piece can range closer to the pricey side of the spectrum, it still is a great gathering place to have in your backyard room for guests to cozy up this fall season. This unique take on a standard backyard fire pit sets itself apart due to the decision to drop the bulk of the fire pit under ground. 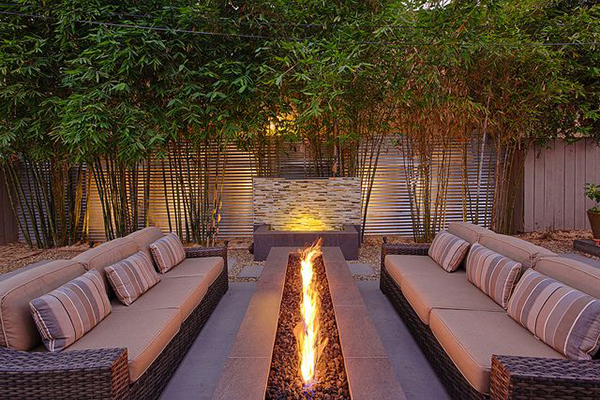 The camp fire-esque look adds a natural feel to an otherwise urban backyard room. The below ground fire pit is a little bit tricky to develop but with the right help and backyard room layout anything is possible! Much like a fire bowl, the chiminea is a great alternative to a built in fire pit. The best part of owning a chiminea; even when it’s not chilly outside it’s still a beautiful decorative piece in your backyard room. This is a stand alone piece that can be modern or classic. These work best in quaint backyard rooms especially for rental properties and are a perfect area to cozy up to this fall. Fire pits have evolved a lot over the years and they are becoming more and more popular. Backyard rooms have become an extension of the home so beauty and comfort are more important than ever. You may be wondering what’s next for fire pits; here are couple modern ideas for fire pits moving forward.